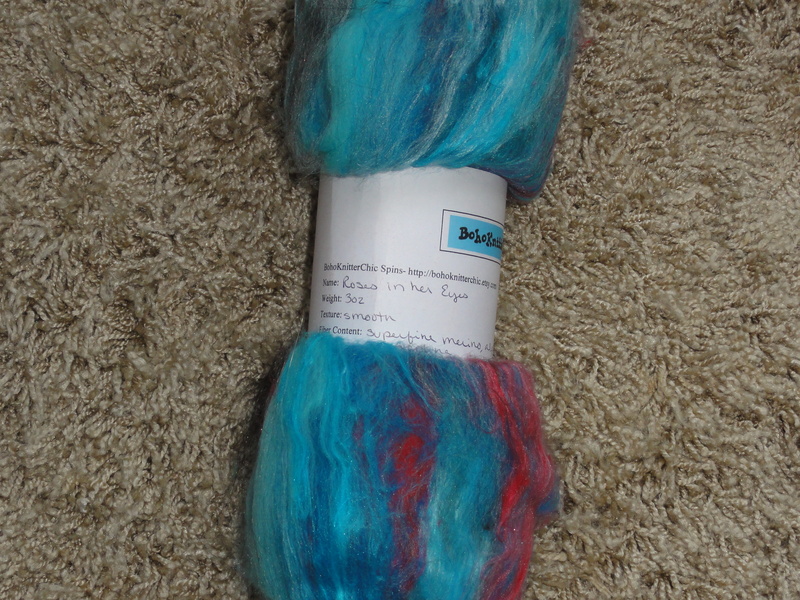 Not long after I got my first spinning wheel back in October of 2012, I bought this spinning batt from BohoKnitterChic. 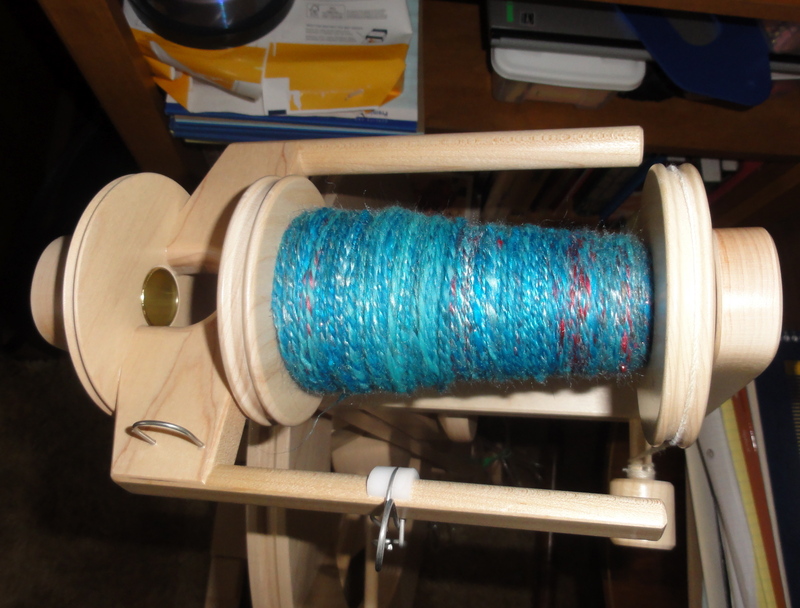 A batt is fiber that has been prepared on a drum carder. Many batts incorporate a variety of fibers. This particular batt, which is called “Roses In Her Eyes,” contains five different fibers: superfine Merino wool, alpaca, bamboo, silk, and angelina, a sparkly fiber made of Mylar. In some batts, the different fibers are blended evenly throughout the batt; in others, the fibers aren’t mixed up at all; and in others, the fibers are somewhere in between evenly blended and not mixed up at all. This particular batt was closer to the “not mixed up at all” end of the spectrum, but the various fibers were nicely distributed throughout the batt. 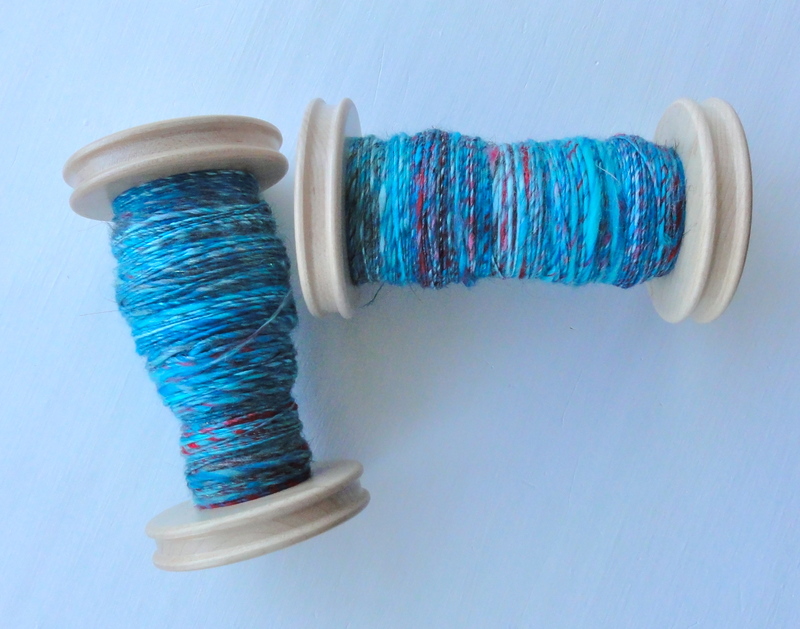 After pondering what would be the best approach to spinning this batt, I decided that because of the variety of fibers and the different ways these fibers would draft, I wanted to spin it fairly thick, and I was hoping for a thick-and-thin effect when I plied it. 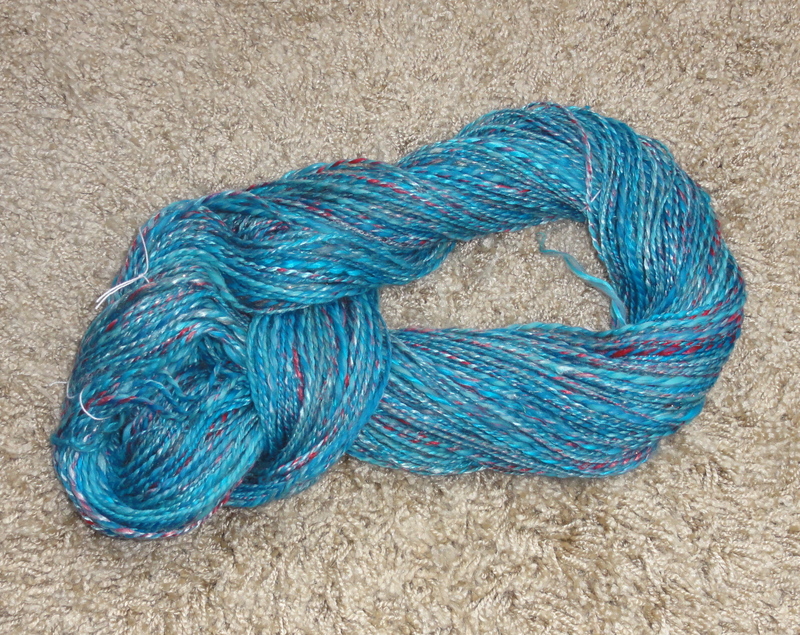 I stripped the batt length-wise into eight pieces and then spun half the fiber on one bobbin, half on another. Because the different fibers were distributed throughout the batt, I knew they would also be nicely distributed throughout the singles I spun. I plied the singles together on my Lendrum using the bulky flyer. and after setting the twist, I ended up with three ounces (approximately 146 yards) of lovely, next-to-the-skin-soft heavy-worsted-weight yarn that will probably become a cowl. 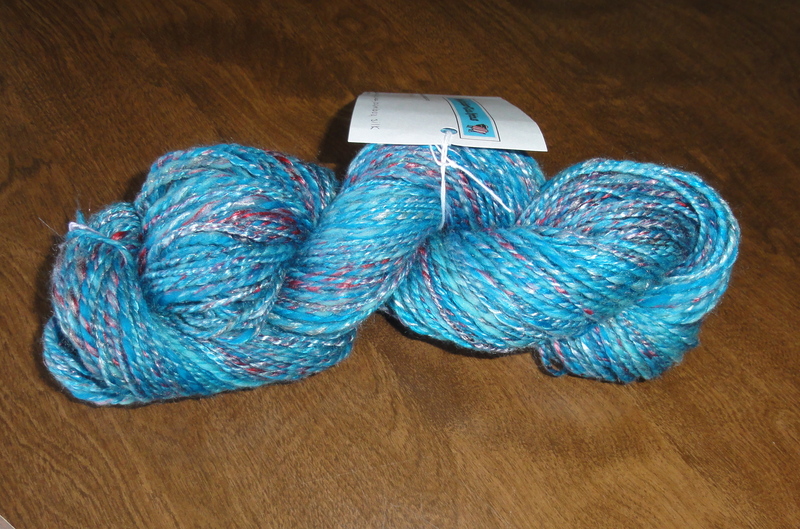 Do I need to say I’m pleased with how this yarn turned out? Nope. This entry was posted in Spinning and tagged BohoKnitterChic, handspun yarn, Lendrum bulky flyer, Lendrum spinning wheel, spinning batts. Bookmark the permalink. No, I spun it short forward draw. I’m not very good at long draw yet.